BATON ROUGE, La. -- An executive order issued by Louisiana’s governor that was aimed at protecting the rights of LGBT people in state government was thrown out Wednesday by a judge who said the governor exceeded his authority. State District Judge Todd Hernandez ruled that Democratic Gov. John Bel Edwards’ anti-discrimination order is unconstitutional because it seeks to create or expand state law. The order prohibited discrimination in government and state contracts based on sexual orientation and gender identity. Edwards said he plans to appeal. He said his order, which contains an exception for contractors that are religious organizations, is a statement that Louisiana doesn’t discriminate. “With great respect for the role of the Louisiana Legislature, we continue to believe that discrimination is not a Louisiana value and that we are best served as a state when employment decisions are based solely on an individual’s qualifications and job performance,” the governor said in a statement. Landry said the order tried to establish a new protected class of people that doesn’t exist in law and that lawmakers refused to add. He accused the governor of executive overreach. “After efforts to advance his extreme agenda failed by large bipartisan majorities in the Legislature, John Bel Edwards took it upon himself to replace the people’s will with his own. Fortunately for the families and businesses in our state, the court ruled today that the governor’s executive fiat will not fly in Louisiana,” Landry said in a statement. Landry is seen as a potential challenger to Edwards in the 2019 governor’s race, and the two men, both in their first terms, have repeatedly clashed over issues of authority and finances since they took office in January. Since Edwards issued his order in April, Landry has blocked dozens of legal services contracts that contain the anti-discrimination language. According to court testimony, as many as 100 contracts for state agencies and boards to pay outside lawyers are stalled, and the Edwards administration refused to transfer $18 million to the attorney general’s office because Landry refuses to include the executive order language in the agreement. 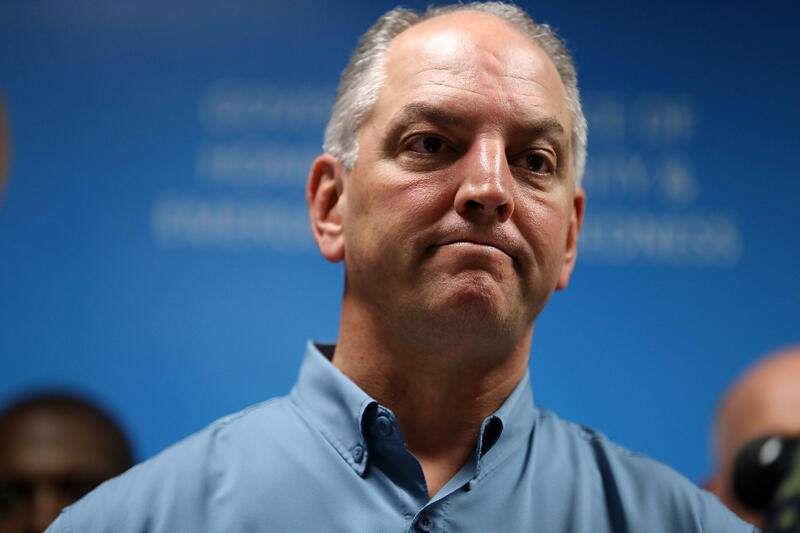 As part of the lawsuit, Edwards asked the judge to spell out the boundaries of Landry’s authority, to declare that the governor’s constitutional role trumps the attorney general’s position and to limit Landry’s role in reviewing the legal services contracts. The governor got a mixed response from the judge. Hernandez wrote that the constitution appears to give the governor superiority over the attorney general within the executive branch. But he would not make what he called a “what if” decision on whether the attorney general has a superior role to the governor in a legal dispute. Hernandez also said Landry’s office has the right to use its discretion in approving legal services contracts.